Proponents of the removal of the lower system of dams on the Snake River have long cited the dams' inefficiency as yet another reason for their removal. Another reason, that is, in addition to the big looming one--that the dams block passage to the largest tract of intact salmon and steelhead in the lower 48 and have continued to stymy multi-billion dollar efforts to restore the river's native salmon and steelhead runs. The Snake, which once saw salmon and steelhead returns as high as 16 million fish, now sees returning fish that number a paltry 1.7 percent of historical levels. Coho are gone entirely, sockeye are endangered and chinook are threatened. Removal of the lower Snake River dams has been called by biologists the "big jewel in the Holy Grail of salmon recovery." But the dams defenders cite the good they do, their service to the communities along the Snake. Dams provide flood control, irrigation and generate hydroelectric power. The unfortunate reality, however, for those that argue against removal, is that the lower system of dams on the Snake River do all of these things poorly or, in some cases, not at all. 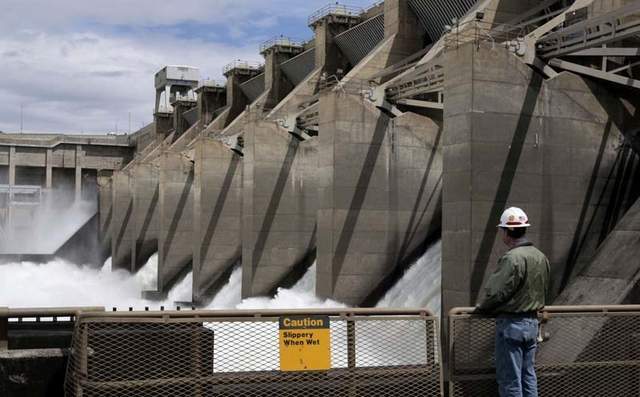 Given that the dams were built with the goal of stimulating barge traffic in the region--and not with irrigation, flood control or hydro goals in mind--the lower Snake River dams don't deliver many of the benefits that other dams might. The lower Snake River dams are all run-of-river dams, which means they don't store water, and thus don't provide any flood control. Lower Granite Dam is actually regarded to increase flood risk to Lewiston, Idaho. Due to the lack of water storage, the dams also don't offer much in the way of irrigation. In fact, Ice Harbor Dam is the only dam in the lower system that provides any irrigation whatsoever--and in a limited volume that is said to be easily replaced by running intake pipes into a free-flowing Snake. What the dams do offer nearby communities, however, is electricity--only not that much. At peak capacity--a level at which the dams very rarely operate--they can generate 3,000 megawatts of power. But their actual yearly output is just over 1,000 average megawatts--an amount that those seeking to see the dams removed have long claimed is easily replaced by clean energy sources like wind. According to a recent study, those claims are true. The study, performed by Salt Lake City-based Energy Strategies, found that "A portfolio of clean energy resources, including solar, wind, energy efficiency, demand response, and energy storage, can effectively replace the most critical power attributes the four LSR Dams contribute to the Northwest region" and that "dam replacement using clean resources is achievable from both a technical planning regional reliability/adequacy standpoint, and from a resources availability standpoint." Further reinforcing common talking points of dam removal advocates, the study's findings go on to state that not only is it possible to replace the power generation capabilities of the lower Snake River dams, it would actually be inexpensive to do so. "The total costs of the clean energy replacement portfolios, particularly the balanced portfolios that include both new wind/solar and demand-side measures, are relatively small compared to the total projected costs of the Northwest power system," notes the study. And, the study's findings added, replacement of the dams with clean, renewable energy sources like solar and wind would reduce net greenhouse gas emissions, without introducing any reliability or delivery issues during times of peak power demand such as summer months. Chad Shmukler is the executive director of the NW Energy Coalition.